It may sound like an exotic ingredient that you may only find amongst the depths of the black market, but aquafaba is the water that is drained from cans of chickpeas. Yes, that liquid gold you’ve poured down the sink every time you cook with chickpeas is becoming the holy grail of vegan cooking. When it is whisked vigorously it transforms from a goopy yellow liquid into a sumptuous delicate white foam that can be transformed into mousses, meringues and even used as an egg replacer. 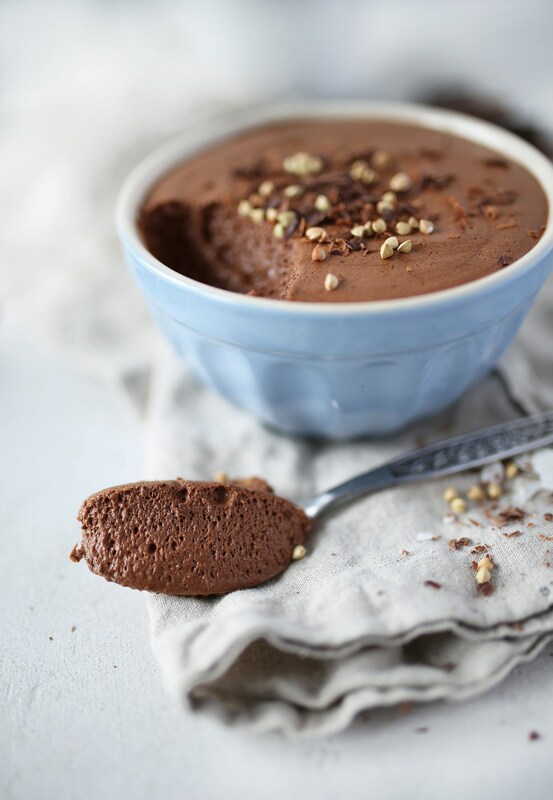 Scroll down to discover some of our favourite recipes using this wonder whip. Roll out the pastry sheet and press into a lightly greased tart tin. Cover with baking paper and fill with baking beans before baking it for 8-10 minutes on Gas Mark 6 (200 Degrees). Once baked, remove from oven and remove all baking beans and baking paper. Place the soya cream, maple syrup, turmeric, lemon juice and agar powder in a sauce pan, stir all the ingredients together. Bring to a boil. Do not stir until it has reached a boiling point. Turn down the heat add the vanilla extract and let it simmer to a gentle heat for a minute, stirring frequently. In a separate bowl, blend together the cornflour and water to make a slurry. Add the mixture to the lemon custard and heat the mix for another minute. Place in the fridge a couple of hours for the custard to set before spreading onto the base of the tart. Drain the can of chickpeas only to keep the water-bean. Pour the water-bean (called aquafaba) into your mixer with 1 tbsp. of finely ground cane sugar and 1 tsp. of cream of tartar (or 2 tsp. of lemon). Whisk for a minute while gradually increasing the speed of your mixer. Incorporate the rest of the sugar 1 tablespoon at a time, increasing the speed of your mixer gradually and this for 1 minute. Proceed in the same way until there is no sugar left. Next, add the vanilla extract and whisk (without stopping this time) at medium speed for about 10 minutes or until the meringue is firm and glossy. 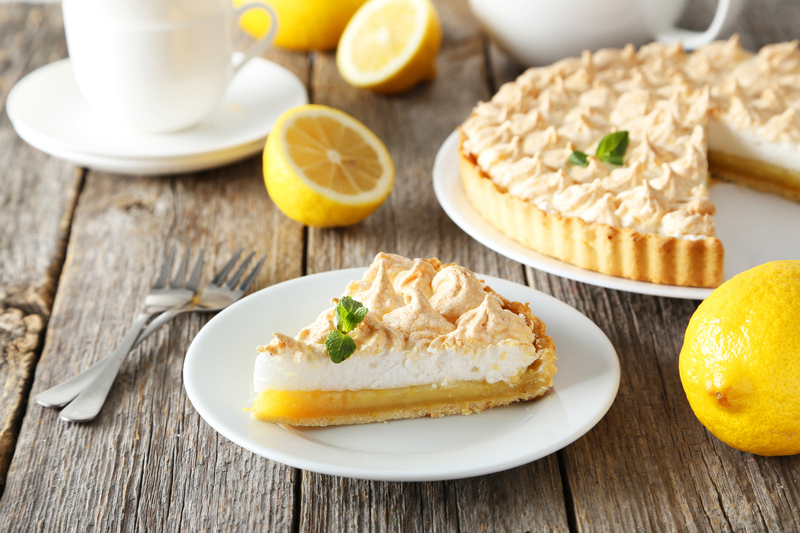 You should notice peaks on top of the meringue mix and there should be NO liquid underneath. Fill a pastry bag with the meringue (you can also simply spoon the meringue for a more rustic look!) and pipe the mixture onto the lemon custard. Using a blow torch brown the meringue, alternatively place the tart under the grill of your oven for a few minutes (watch out you do not want it to burn!). I personally prefer to use a blow torch since the meringue holds its shape better. Sprinkle the tart with some lemon zest. Pour the aquafaba into a large mixing bowl. Use an electronic whisk for 10 minutes on a high speed to create the velvety consistency of the aquafaba. Be sure there is no liquid in the bottom of the bowl and soft peaks form when you remove the whisk from the mix. Note: if whisking by hand it may take longer than 10 minutes. While you’re whisking the aquafaba, melt the dark chocolate in a bowl over a pan of boiling water. Once melted allow to cool slightly then gently fold the melted chocolate into the aquafaba while whisking. Add the syrup and whisk in. Pour the mix into ramekin dishes and pop in the fridge to set for an hour. Top with a choice of nuts, berries, vegan whipped cream, crumbled biscuits…the choice is yours! Enjoy. Any choice of fruit such as mango, strawberries, blueberries, raspberries or passionfruit. Preheat your oven to 120 degrees Celsius (Gas mark 1/2), and line two short-sided trays with baking paper. Put the aquafaba into a large mixing bowl, and whisk on high speed for around 10 minutes or until soft peaks form as mentioned above. While continuing to beat, gradually add in the icing sugar, then the caster sugar. You may not need all the sugar – stop if the mixture is getting too thick. Once all the sugar is added and dissolved, sprinkle in the cream of tartar and the vanilla essence. Continue to beat until stiff peaks form. Scoop the meringue mixture into a piping bag. You may have to do this in two batches. Pipe nests of meringue onto the lined baking sheets. To do this, pipe a ‘base’ of concentric circles to about 10cm wide, then pipe around the outside edge about three spirals up to create a ‘nest’ shape. Bake in the preheated oven for around 2 hours (depending on the size of your nests it may be a little shorter or longer). Keep an eye on them to make sure they don’t start to brown. 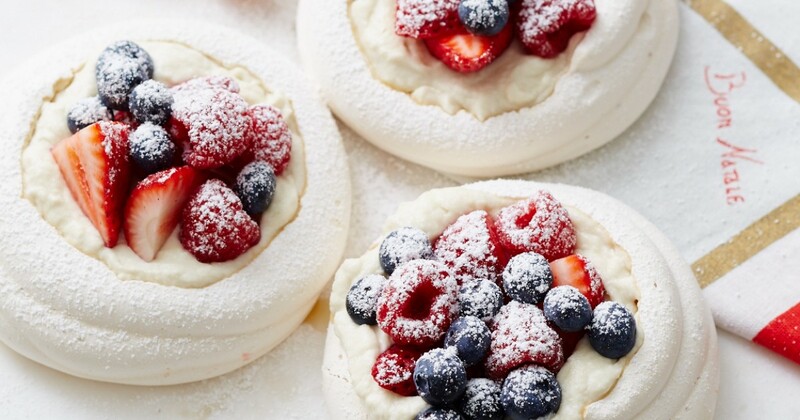 Once cooked, switch off the oven and leave the meringues in there, with the door ajar, for an extra half-hour. They should be light and dry when you remove them from the oven. Being careful not to shake it, open the tin of coconut cream and spoon of the thick cream from the top. Discard (or drink!) the clear coconut water underneath. Put the thick coconut cream, icing sugar and vanilla in a bowl, and whisk on high speed until thickened. Serve your meringues fresh, topped generously with whipped coconut cream. Top with fresh fruit and dust with caster sugar. The unfilled meringues will keep for a couple of days in an airtight container.